Australia – Do you have what it takes to Stop the Bleed? The counter-terrorism environment worldwide has changed sharply in recent years. A significant catalyst for a review of Australia’s counter-terrorism arrangements was the 11 September 2001 terrorist attack on the United States of America. In Australia, this subsequently led to the introduction of new national counter-terrorism structures and arrangements. When the threat level changes, the Australian Government provides advice on what the threat level means, where the threat is coming from, potential targets and how a terrorist act may be carried out. 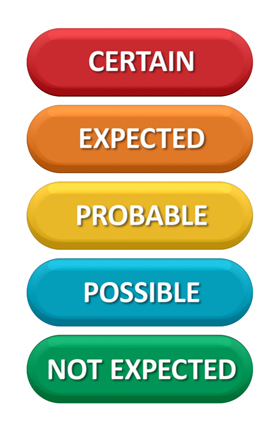 Australia’s National Terrorism Threat Level remains PROBABLE. Credible intelligence, assessed by our security agencies, indicates that individuals or groups continue to possess the intent and capability to conduct a terrorist attack in Australia. The terrorist threat in Australia has been elevated since September 2014—in the subsequent period, there have been five terrorist attacks and 13 disrupted terrorist plots. Almost all these attacks and disruptions occurred in Sydney or Melbourne, and we expect the greatest exposure to the threat remains in those cities. However, in Australia, as in other Western countries, the terrorist threat is not confined to the major cities. Australia and Australians continue to be viewed as legitimate targets by those who wish to do us harm and believe they have an ideological justification to conduct attacks. The primary terrorist threat in Australia is from a small number of Islamist extremists, principally lone actors or small groups who use simple attack methodologies that enable them to act independently and with a high degree of agility. The simple nature of these attacks means preparation may not involve activity that is concerning enough to come to the attention of authorities—meaning there is no guarantee of early detection or disruption. Any terrorist attack in Australia would probably involve weapons and tactics that are low-cost and relatively simple, including basic weapons, explosives and/or firearms. Basic weapons are readily available, everyday objects that do not require specialist skills. Terrorists have used basic weapons such as knives, machetes or vehicles to conduct lethal attacks. These weapons have the potential to cause significant and life-threatening injuries, including major blood loss. What is a Crowded Place? Crowded places are locations which are easily accessible by large numbers of people on a predictable basis. Crowded places include, but are not limited to, sports stadia, transport infrastructure, shopping centres, pubs, clubs, hotels, places of worship, tourist attractions, movie theatres, and civic spaces. Crowded places do not have to be buildings and can include open spaces such as parks and pedestrian malls. The Australia and New Zealand Counter-Terrorism Committee (ANZCTC) strategy for Protecting Crowded Places from Terrorism has an objective of protecting the lives of people working in, using, and visiting crowded places by making these places more resilient. All owners and operators of crowded places, which include businesses, major event organisers, sporting clubs, charities, community groups, religious groups, and local, state and territory and Commonwealth governments, have the primary responsibility for protecting their sites, including a duty of care to take steps to protect people that work, use or visit their site from a range of foreseeable threats, including the threat of terrorist attack. Bandages and towels DO NOT Stop the Bleed. ActiveShooterEvent-HD 720p from WA Police on Vimeo. 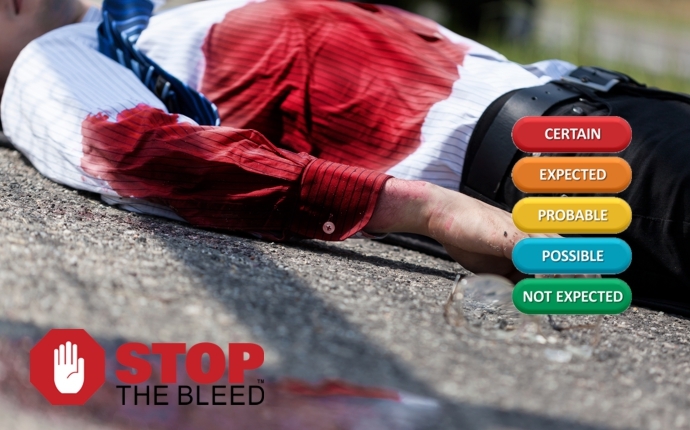 Stop the Bleed® is intended to cultivate grassroots efforts that encourage ‘first-on-scene’ to become trained, equipped, and empowered to help in a bleeding emergency before professional help arrives. A person who is bleeding can die from blood loss in less than five minutes, therefore it is important to quickly stop the blood loss. Those nearest to someone with life-threatening injuries are best positioned to provide first care. All owners and operators of crowded places have a duty of care to protect their site from a range of foreseeable threats, including the threat of terrorist attack. We CAN NOT rely on current First Aiders and First Aid kits to have the ability and skills to ‘Stop the Bleed’. We MUST upskill everyone who may be in a position to provide first care in those critical first minutes of an incident. Is your organisation or workplace ready to STOP THE BLEED® and Save a Life? Contact us today to discuss how we contextualise the program to your environment and prepare staff to manage life-threatening bleeding that complies with the current Australian ANZCOR Guideline 9.1.1 – First Aid for Management of Bleeding, release July 2017. Australia wide delivery available.